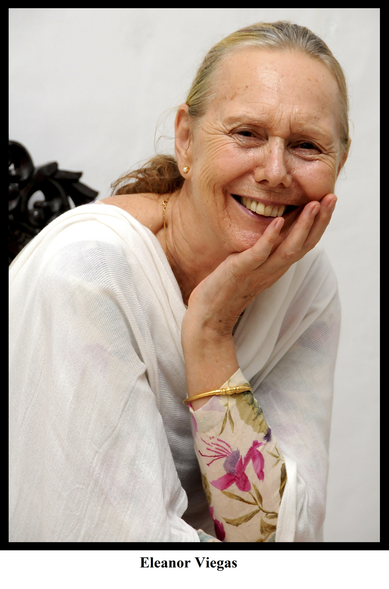 British born Eleanor Viegas taught art appreciation and was a museum education officer before she decided to settle down permanently in Goa. Goa is the homeland of her deceased husband Nuno Viegas, who was also her art teacher at the Birmingham College of Arts. Eleanor spends her time in Goa involved in the Banyan Tree project. It is her innovative way of bringing together a community of women to salvage needlework as part of the traditional arts. She is passionate in her endeavour to impart values of living a good life to children through the Ubuntu method. Obtaining a master’s degree in textiles at art college was probably the most natural choice for Eleanor as she had begun to embroider at quite a young age and enjoyed dressing up in her teen years, taking a keen interest in designing her own clothes. She envisions great potential for embroidery and hails its value as a part of our heritage. ‘Working as an art teacher, I liked to use textiles with my students to help them to express themselves…to express different ideas,’ she says, mentioning that embroidery appears in Vedas, with the needle symbolising unity and strength. There is apprehension that the tradition of needlework may die out altogether as it does not hold the same significance today as it did in the bygone era. This is evident in the lack of emphasis given to it in schools. Therefore the Banyan Tree project is a lifebuoy for the craft that goes all over Goa and beyond. Eleanor says, ‘It celebrates traditional skills and hidden creativity. At a multi-media art exhibition called A Peaceful Quest, held at Carpe Diem in Majorda, Eleanor divulged the creative processes that culminated in the beautiful and touching artistic productions of her hands. In art college, Eleanor was inspired by William Morris, a 19th century designer who revived medieval handicrafts and started the Arts and Crafts Movement in England. There was an Arts and Crafts building at the Birmingham College of Art. ‘William Morris redefined the concept of truth and beauty in arts and crafts and the pleasure of working with your hands,’ she says. 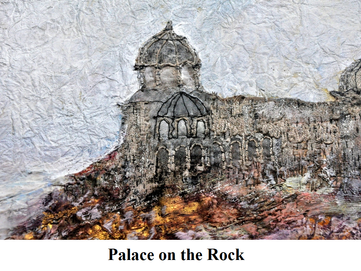 Resonating the essence of peace, which Eleanor subscribes to and preaches, her art work in some instances is an amalgamation of painting and needlework. The prominent symbolism for the peace that she is so desirous of having permeate and decimate the chaos humankind has descended into is well represented by her art. Eleanor has a penchant for painting birds, which to her represent freedom. The peacock in particular denotes courage, determination and achievement. This student of the sitar allows moments of learning to influence her work. She says, ‘I was learning to play the Bhimpalasi evening raga. I was listening to the raga and painting. The picture kept changing and evolving through lots of cutting, pasting, stapling and stitching. It was over the months that I was learning to play and so the picture expresses my struggle as I’m learning to play.’ On its completion she felt the picture more aptly described her feelings for the raga. A good example of how artists would be willing to go to great lengths to satisfy their ambition to ‘get it right’ according to their sensibilities, is Eleanor’s complete transformation of one of her paintings. Eleanor made the decision of changing the entire look of Dissolving Time, after spending a good deal of time on its stitching, as it began as a piece of hand embroidery. ‘I was not feeling happy with it and I wanted to completely change the entire surface and I did something very drastic. I applied bleach to the fabric which created a very interesting texture.’ She continued to add bleach and paint and let the piece evolve till she was satisfied with what she feels represents change or impermanence. ‘Sometimes we have to take risks to move forward. While working on this piece I had to make an important decision in my life and this helped,’ says Eleanor. Feelings fuel the process of creation. Eleanor says, ‘The aim is to tap into those good feelings and express them through art.’ Art, furthermore, allows us to take negative feelings that may be stifling us and transforms them into positive feelings of strength and determination.